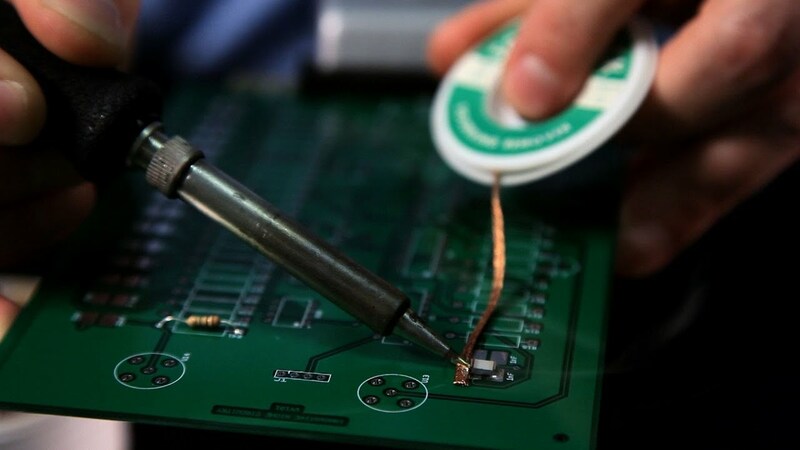 The necessary skills needed for assembling any electronic projects is that of soldering. It requires a little experience to make a good joint, however, just like riding a bicycle, once an expert never forget! Different Types of Soldering Irons come in different sizes and shapes for specific soldering projects. They can be gas-powered, electric or externally heated. There are different Types of Soldering Iron that suits various projects. For instance, DIY crafts as well as working with your children. Soldering iron uses solders, which melts once under heat and conjoins the two items when it cools. Electric types the most common soldering irons. Soldering irons are used to melt the solders for indirect heat application. Direct heat application is often avoided in most soldering processes since it is difficult to control the heat. Direct heat may have adverse effects on the electrical connections, damage other equipment where direct heat application can cause distortion as well as melting away of thin sheets. Since there are many soldering irons on the market today, it can be hectic to choose the right soldering iron that best suits your needs. In order not to go wrong, you should bear the following factors in mind. Voltage: Most iron uses the main 240V. However, lower voltage types ranging from 12V to 24V often form part of the soldering station,and they designed to be used alongside a special controller from the same manufacturer. Wattage: A power wattage between 15-25 watt is good for most soldering works. Higher watts does not imply the soldering iron tip runs hotter faster rather it means that there is more power in reserve to cope up for larger joints. Temperature control: The cheapest and simplest types of soldering irons have got no temperature control. They are simply plugged in and turned on. Unregulated iron forms ideal general use of soldering iron for most users. Simple electric soldering irons as the name suggests are very simple. You just plug them in as you wait for them to heat up. These soldering iron types have got no temperature control. The temperature is controlled by the heating element power as well as loss of heat to the environment. Different types of soldering iron exist in this category. For instance, soldering pencil and soldering gun. Soldering pencils are simple and preferably used for simple tasks such as DIY projects. Soldering gun has a transformer that has the integral role of converting 110V Alternating Current (AC) to lower voltage. Only a single turn is contained in the secondary winding of a transformer. Since the primary is connected to 110V AC, soldering gun produces 700amp and low voltage. On the hand, a soldering station is composed of a soldering pencil attached to the power station. The temperature at the tip of the iron can, therefore,be controlled by the power station. 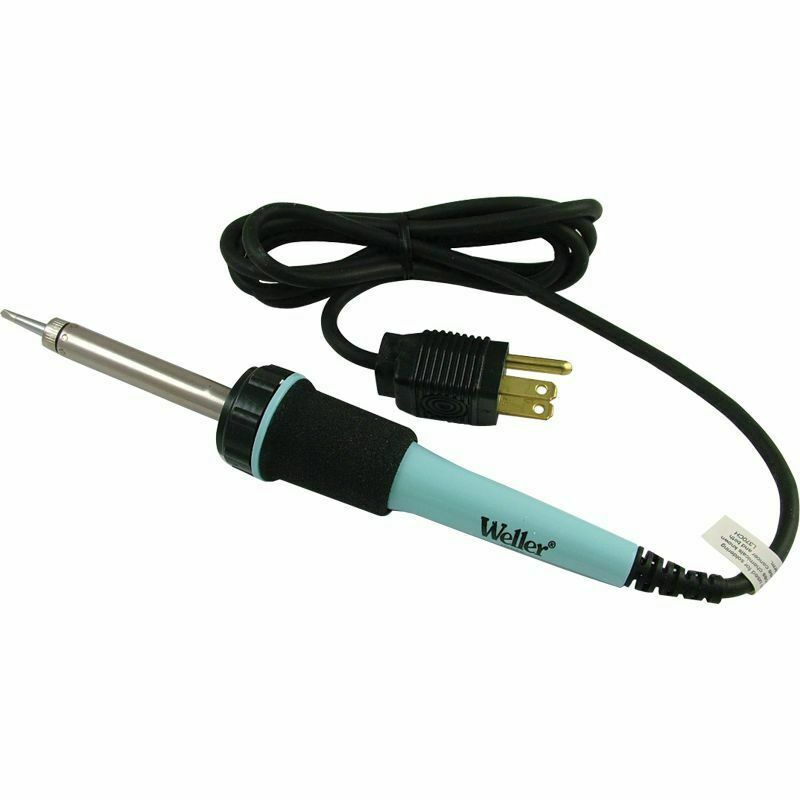 Thus, soldering iron tip automatically keeps appropriate temperature needed. The soldering station is often used in most soldering projects. It can be used for both fine surface-mount components as well as soldering through-hole components. These are more advanced soldering iron with temperature sensors. They have a method of controlling the temperature at the tip of the soldering iron. This ensures the temperature remains steady. Therefore, more power is available when the connection is large. They might be free-standing or may be comprised of a head, heating element with a tip, and control base station. The system may often use a thermostat on the iron's tip, which automatically turns the heating element off and on. This a particular type of soldering iron is used for soldering and desoldering small surface mount component having two terminals. For instance, capacitors, links, diode,and resistors. Tweezers are composed of two tips that are mounted on arms. The primary role of soldering tweezers is to ensure that the solder is melted on the correct place. The components are often moved through vacuum pickup or simple tweezers. Cordless soldering irons are small irons often heated by battery or through gas combustion such as butane contained in a small self-contained tank. These tools can be in case the electricity is unavailable or when a cordless operation is necessary. These soldering iron operating temperatures are not regulated directly. However, the gas iron might change power by adjusting gas flow. Gas powered-iron might have interchangeable tips composed of various size soldering tips, small blow touch having a hot flame, a hot knife that can be used to cut plastics, and hot air blower to perform tasks such as shrinking heat shrink tubing. Various types of soldering iron serve different purposes. From DIY crafts to working with your children to other soldering projects. Each requires a specific type of soldering iron. Having read this article, we are comfortable that you have the necessary knowledge of various types of soldering iron that is available in the market. You can now have the type that suits your needs best.